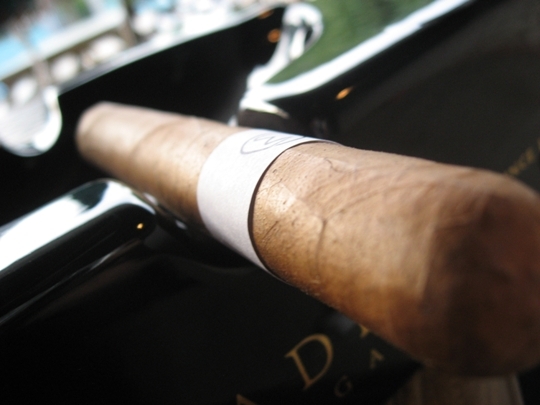 Abdel Fernandez had been involved in the cigar industry for quite a long time. He has been involved with many different companies such as Rocky Patel, Gurkha and Padilla as well as some small batch cigars such as the Man O’ War (You can read the reviews of that cigar line here: MOW, MOW Ruination and the MOW Virtue). After all that work helping create blends for others he has finally released his own namesake line. 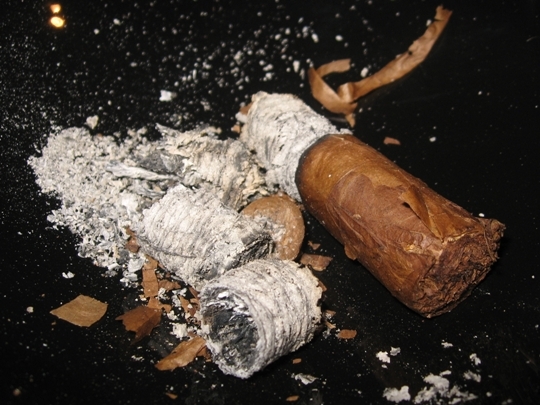 This cigar was another part of the blind trade I did not too long ago. 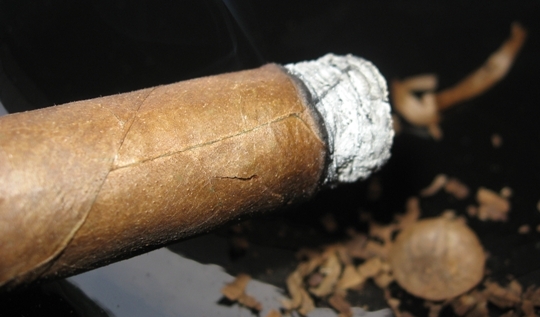 This particular cigar was new to me but I did have a few of them in my humidor that I hadn’t yet tried. As you’ll see in this review, a proper pairing, at least for me, is extremely important. This is even more relevant when enjoying a full bodied cigar. Doing a blind trade can sometimes impact a proper pairing choice. The A. Fernandez Signature Series is made in their factory located in Esteli, Nicaragua. Abdel also maintains a wonderful crop of tobacco and he personally oversees all aspects of the cigar making process. He was born in Cuba but raised in Nicaragua and has been a pivotal part of what has made Nicaraguan cigars so popular. I think that’s enough chatter for now, let’s get into this review. 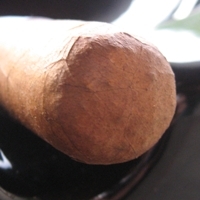 The first half of this cigar was interesting with a burnt wood type of flavor and a bit of leather. There was also a fair bit of pepper throughout. Leather and pepper are not my favourite types of flavors in a cigar so this will heavily impact my opinion. There was a sense of complexity here that I know I overlooked since I was too focused on those two flavors that I just couldn’t enjoy the rest of this cigar to its full potential. Second half lost some flavour and didn’t change much else and the cracks near the head were getting progressively worse. Some damage in transport is also likely to blame here. The pairing here was also a poor choice as you can read below. This is part of the learning process in a blind trade. It really teaches you how important a proper pairing can be with some cigars. It definitely detracted from a proper review of the cigar but still feel it was worth posting this to show how a blind review and sometimes work against a cigar. One suggestion I thought of after this is to recommend some pairing for you blind trades or at least mark a cigars strength so the person lighting it up can give it a fair opinion. I had never had any ales from this Brewery before, it’s about 1.5 hours from where I live in Waterloo, Ontario. It’s a nice dark red beer with lots of flavor, very smooth and not bitter at all. Definitely something I would buy and enjoy again. 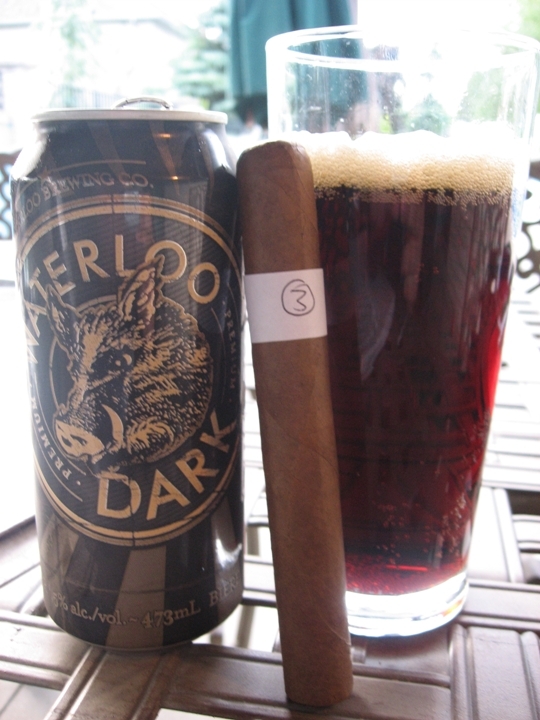 It went well with this cigar but I wouldn’t pair it with anything stronger than a medium. 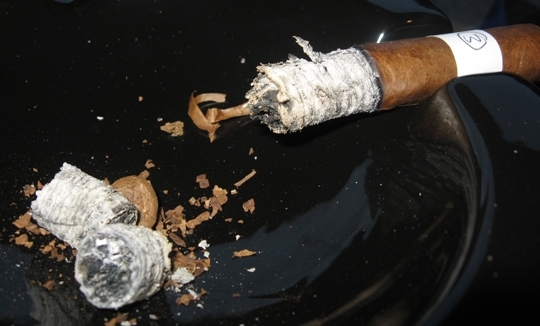 This definitely had a negative impact on this cigar since it just wasn’t complimenting it properly. A coffee, port, sweet tea or soda would all mix well here. I had a couple more of these in the humidor that I hadn’t tried yet. Since doing this blind review I did give them a try with a proper pairing and have to say that it was much better. It went perfectly with port and with some Glenlivet 12 year Scotch. 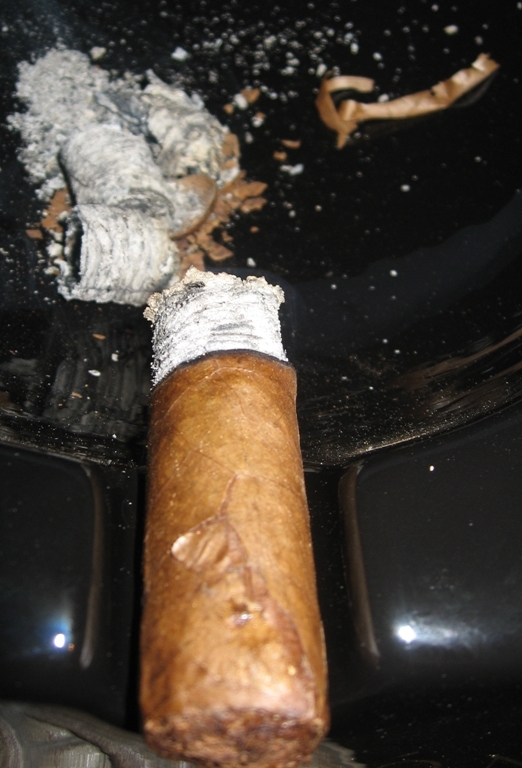 I had more complexity out of the cigar and the flavors had some more dimensionality near then end. This is more of what I would expect from A. Fernandez. Again, another testament to how important a pairing can be and the learning process involved in these blind trades. I was gifted one of these and cant wait to try it.